Sunday April 19th 2015, 10.30am – 4.30pm To find inner peace and be at ease in the world around us we need to get to know and understand our own mind. Much of the time we are so busy filling our days with endless outer activities that we neglect our inner needs. Unsurprisingly this can lead to stress and imbalance of body and mind. Ani Rinchen will give instructions on relaxation, body posture, breathing and mindfulness that form the basis for meditation practice. The course also features short sessions of meditation, including various sitting and walking meditations, that can be incorporated into daily life. With regular practice the benefits to health and well being are incalculable. 1.00pm – 4.00pm The Shrine Room and Peace Hall will be made available on these afternoons for Ngondro and personal meditation practice. May 26th & June 2nd 2015 This year these two major dates in the Buddhist calendar fall on consecutive Tuesdays. Therefore, in addition to our regular Tuesday evening Chenrezi Puja at 6.30pm, we will be reciting the Twelve Deeds of the Buddha, chanting his mantra and offering lights and katas. These precious teachings by His Holiness were first given on his recent tour of the US and feature invaluable advice on meditation and how to incorporate its practice into our busy modern lifestyle. Saturday June 6th 2015, 10.30am – 4.30pmA Qigong and Meditation taster course to introduce these complimentary methods which combine to relax, refresh and rebalance body and mind. These gentle yet powerful techniques are an antidote to the stresses of modern life, using mindful movement and sitting meditation to develop mental and physical awareness opening the door to improved health and well-being. With regular practice their effects are truly transformative. This one day course also serves as an introduction to our weekly Wednesday Qigong & Meditation classes starting on September 9th. June 20th & 21st 2015, 10.30am – 4.30pmRob is a Buddhist practitioner, teacher and author with extensive training in Law and Psychology which enables him to explain the Buddhist view from a Western psychological perspective. In this course Rob will explore the definition of “insight” as recognising what is happening while it is happening, thereby seeing clearly into the mind’s activity. The main focus will be on learning methods to develop this psychological insight to increase our understanding. Saturday June 27th 2015As there is a double 10th lunar day this month we will celebrate His Holiness’s birthday on the Last Saturday of June 27th 2015, which is also Guru Rinpoche day, by doing a Guru Rinpoche Shower of Blessings Tsok Puja. There is no need to book but please let us know if you wish to attend. Offerings and/or donations appreciated. 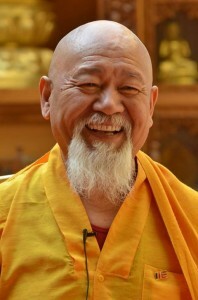 We are honoured to receive Ringu Tulku Rinpoche at KSD Edinburgh where he will explore these teachings, which are as fresh and relevant now as they day they were first expounded. With his insight, erudition and direct approach of a modern day Lama, Rinpoche will illuminate their meaning in the light of our 21st century lives. 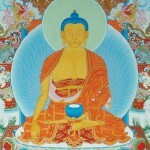 Through study, contemplation and application of these precious truths we place ourselves in the footsteps of the Buddha. 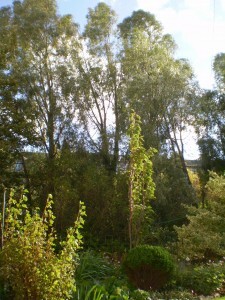 Samye Dzong Edinburgh will close for the summer break from August 1st 2015 and re-open on Monday September 7th 2015.Samye Dzong Edinburgh will close for the summer break from August 1st 2015 and re-open on Monday September 7th 2015. Saturday September 26th & Sunday 27th 2015 Lama Yeshe Rinpoche is Abbot of Samye Ling and of Samye Dzong Centres worldwide. A renowned meditation Master and charismatic teacher, his wisdom, compassion and humour make him an inspiring example for us all. Please inform the office if you wish to take Refuge. The ceremony is for participants and family only. Technology does much to improve our lives. But without the discerning wisdom to use it well, we risk being overwhelmed by an avalanche of information that can actually increase stress and cause physical and mental ill health. Lama Yeshe Rinpoche explains how regular practice of meditation cuts through confusion to reveal the wisdom, compassion and joy of our true nature. This documentary film and sequel to The Lion’s Roar, by award winning film maker Mark Elliot, chronicles His Holiness 17th Karmapa’s historic first visit to the West. With additional personal insights by Lama Rinpoche. The weekend concludes with a special tsok puja to celebrate our 5th year at the Walker Street Centre, pray for the swift return of Akong Tulku Rinpoche and for the long life of Lama Yeshe Rinpoche. Everybody is welcome, as are tsok offerings. Saturday October 17th 2015, 10.30am – 4.30pm This is a follow up course for those who have been practicing The Four Ordinary Foundations, have taken Refuge and are ready to progress further. Ani Rinchen Khandro presents an overview of the Four Special Foundation practices. Emphasis will be given to the first foundation practices of Refuge and Bodhicitta and will include instruction on meditation, visualisation and prostrations. 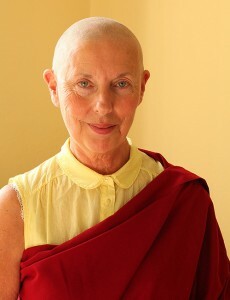 Ani Rinchen Khandro will read extracts from classic Buddhist texts such as The Songs of Milarepa and The Rain of Wisdom, followed by group discussion. in the Shrine Room and Peace Hall. There is no need to book for The Last Saturdays but donations are much appreciated on the day. Sunday November 1st 2015, 10.30am – 4.30pm In recognition of his erudition and practice of Buddha dharma Drupon Rinpoche holds the titles of Khenpo and Retreat Master. Rinpoche will teach on the deep meaning and need to cultivate and apply Refuge and Bodhicitta in one’s daily life as being the very definition of what it means to be a Buddhist. 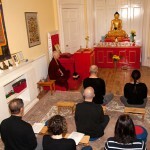 Sunday November 29th 2015, 2.00pm – 5.00pmAs part of the Scottish Inter-Faith Care for the Environment Week Kagyu Samye Dzong Edinburgh,Tibetan Buddhist Meditation Centre is hosting an event at 4 Walker Street in Edinburgh’s West End on Sunday November 29th from 2.00pm to 5.00pm. 2.15pm – Think Globally, Act Locally – a talk by environmentalist and community garden director Nathalie McCall. 2.30pm -Tree Planting of indigenous fruit trees. 3.00pm – Hot Chai courtesy of the Nepali community of Edinburgh. An Inspirational Film of His Holiness the17th Karmapa speaking with wisdom and compassion on environmental activism and the Buddhist view of our interconnectedness with Mother Earth and all beings. 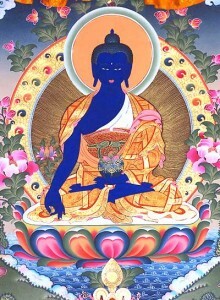 Friday December 18th 2015, 6.00pm – 8.00pm As this last day of term is also Medicine Buddha Day we conclude with a Medicine Buddha Puja dedicated to the health and happiness of all beings. Do join us for the puja and a medicinal after puja drink. 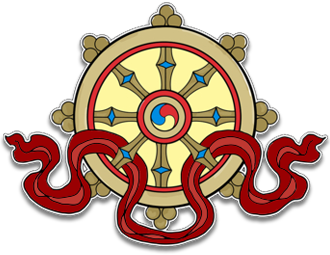 Saturday December 19th 2015 – Monday January 11th 2016Kagyu Samye Dzong Edinburgh will close for the winter holidays from December 19th 2015 and re-open on Monday January 11th 2016.